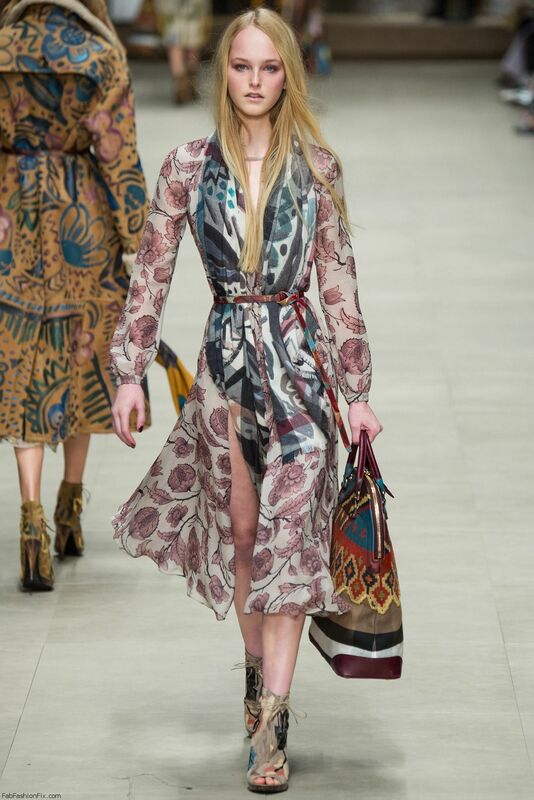 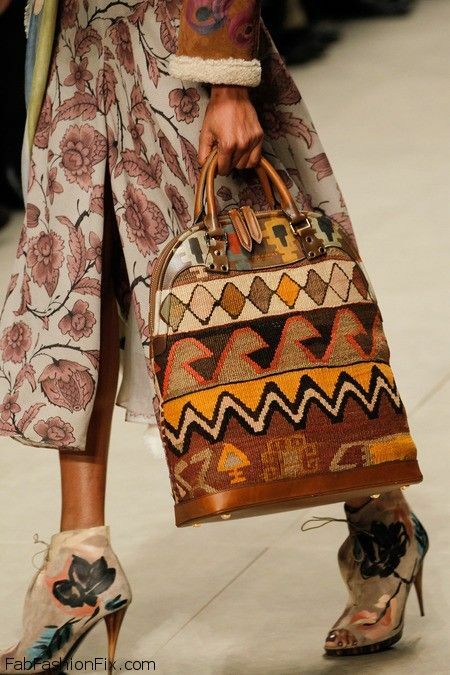 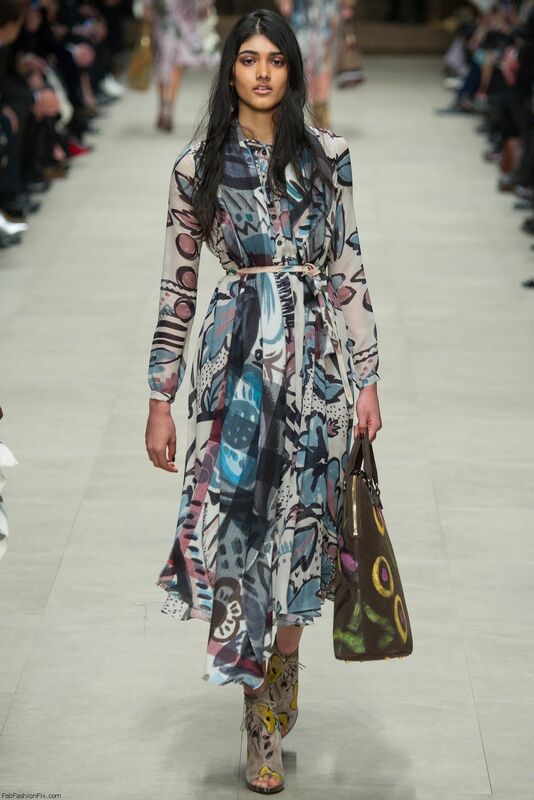 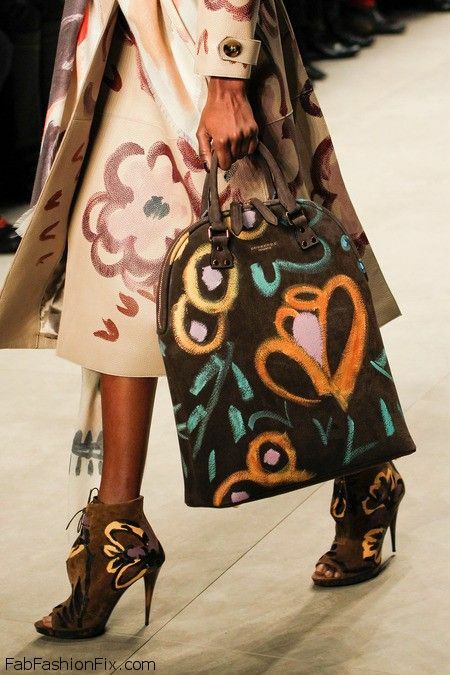 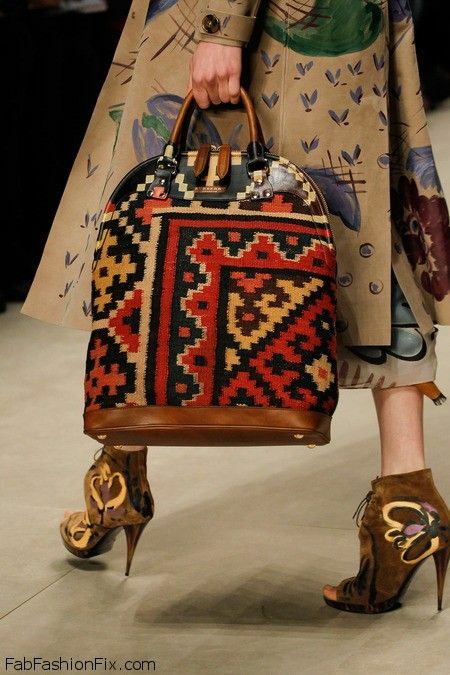 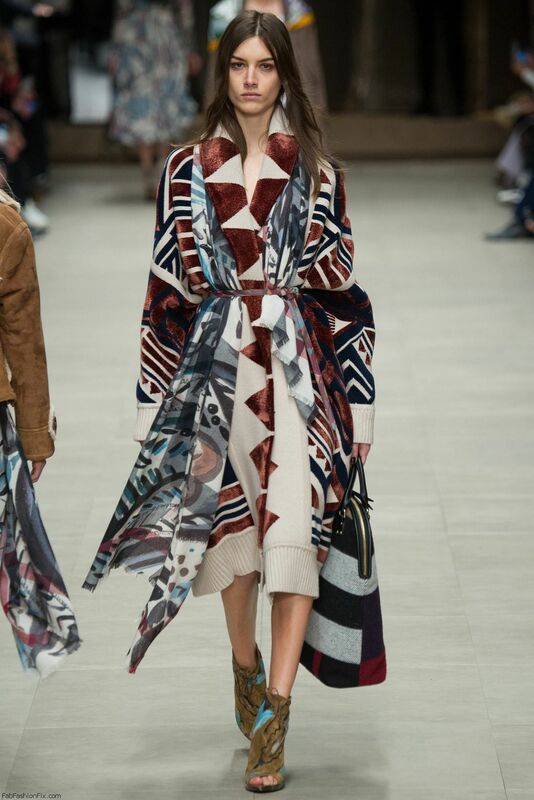 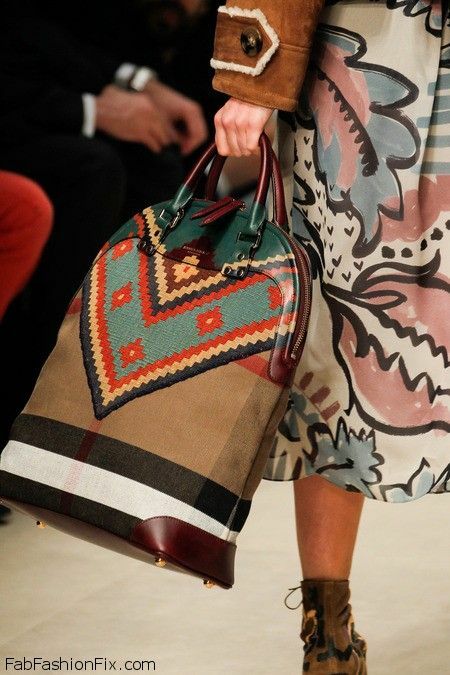 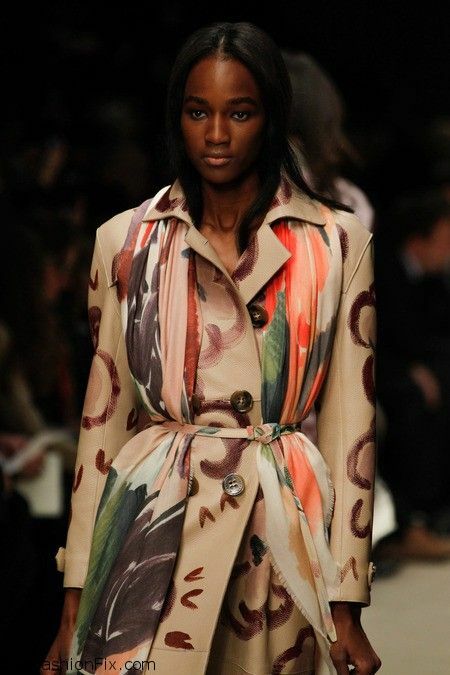 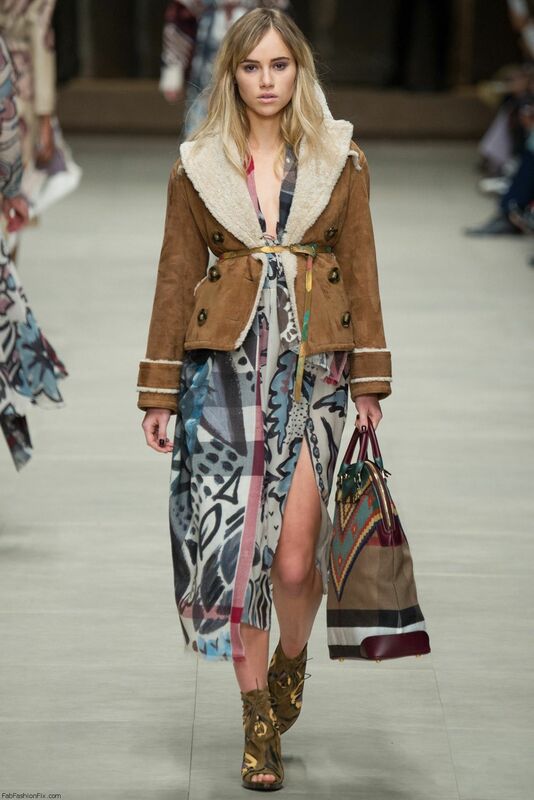 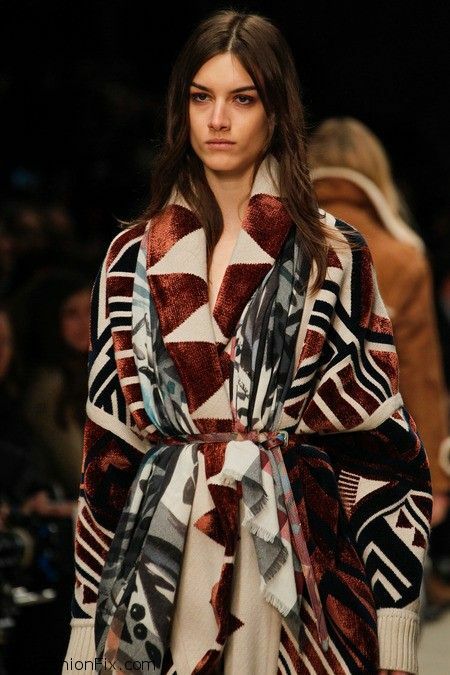 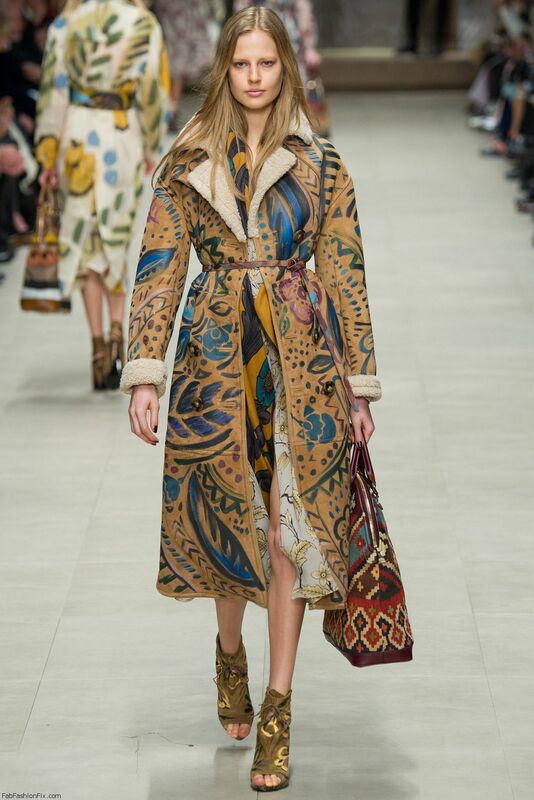 British fashion house Burberry Prorsum presented their new fall/winter 2014 collection at London fashion week fall 2014. 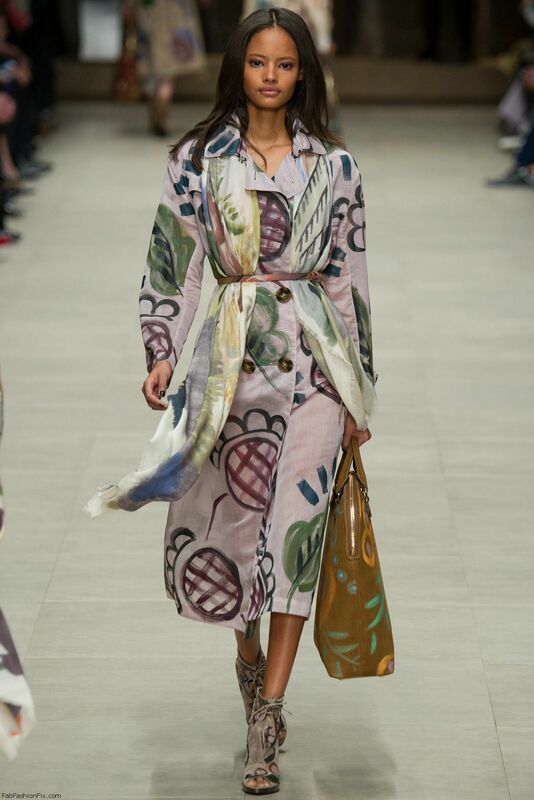 Creative director Christopher Bailey entitled the show “Bloomsbury Girls”, inspired by the style and attitude on Charleston, the Sussex home of artists Vanessa Bell and Duncan Grant. 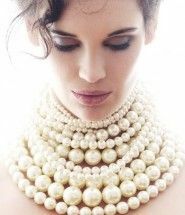 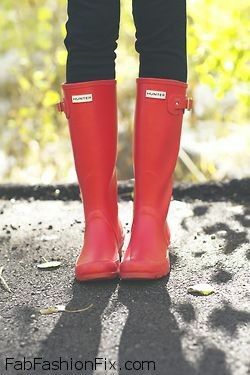 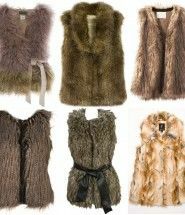 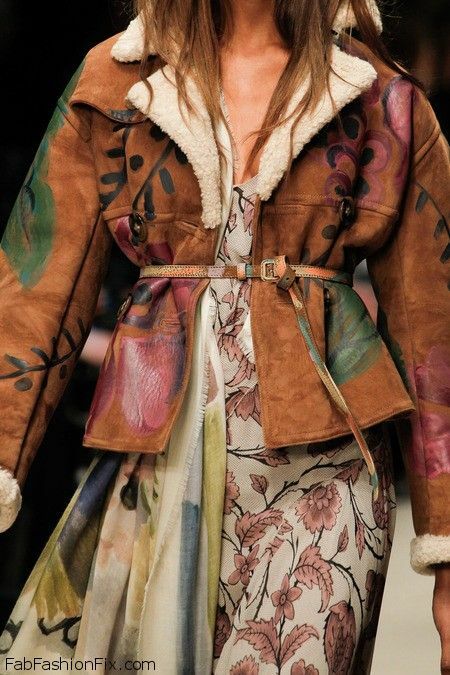 All of which resulted in more softer and feminine collection than in the previous seasons. 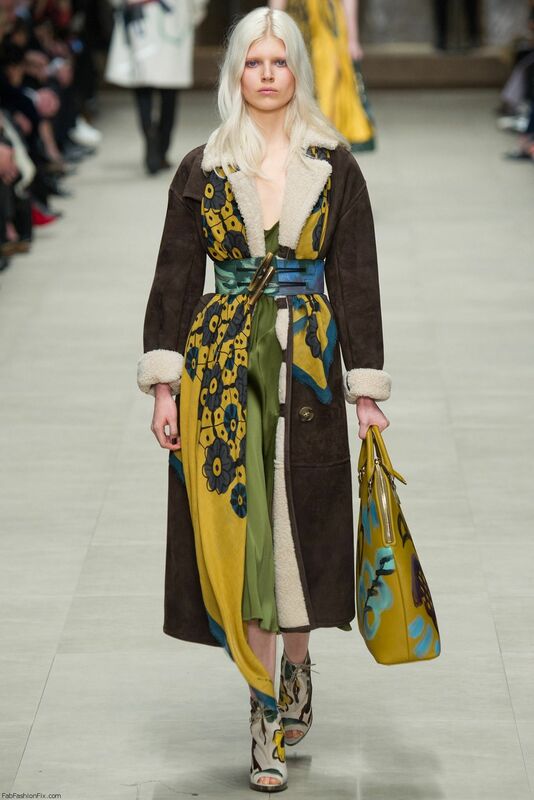 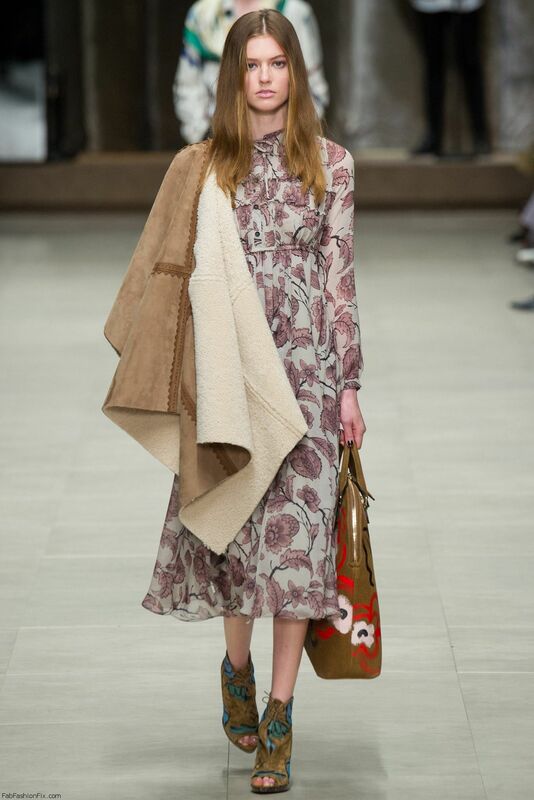 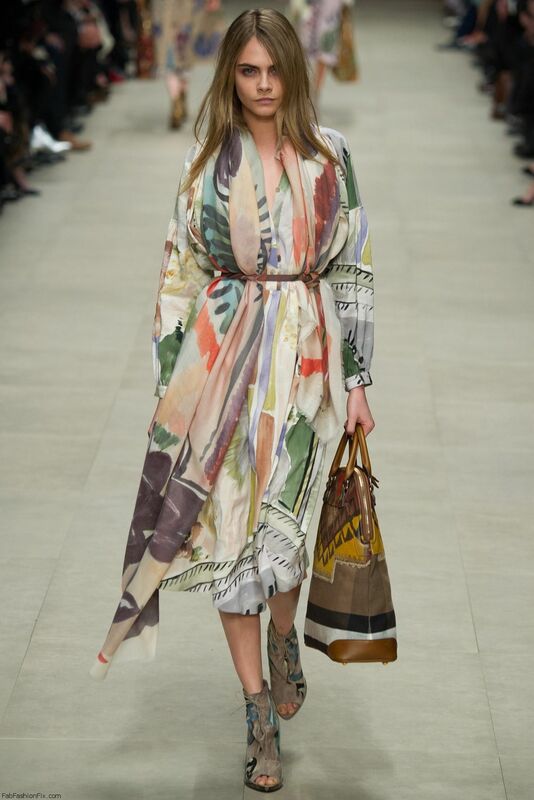 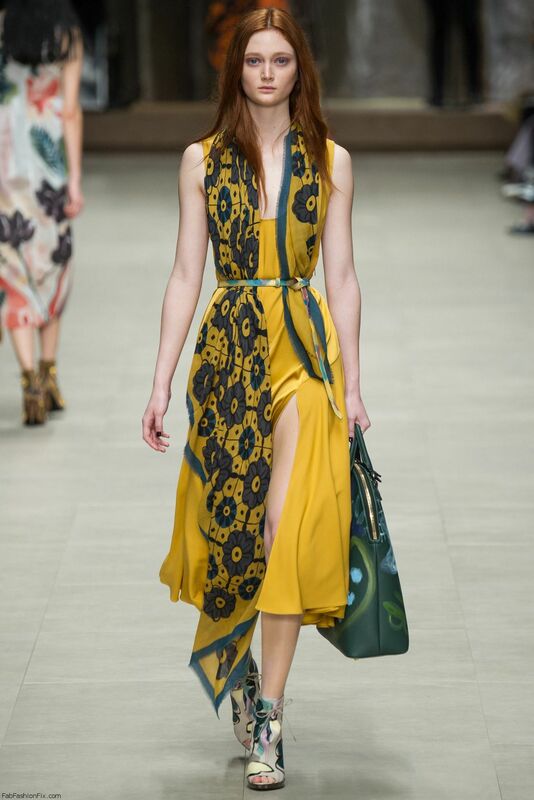 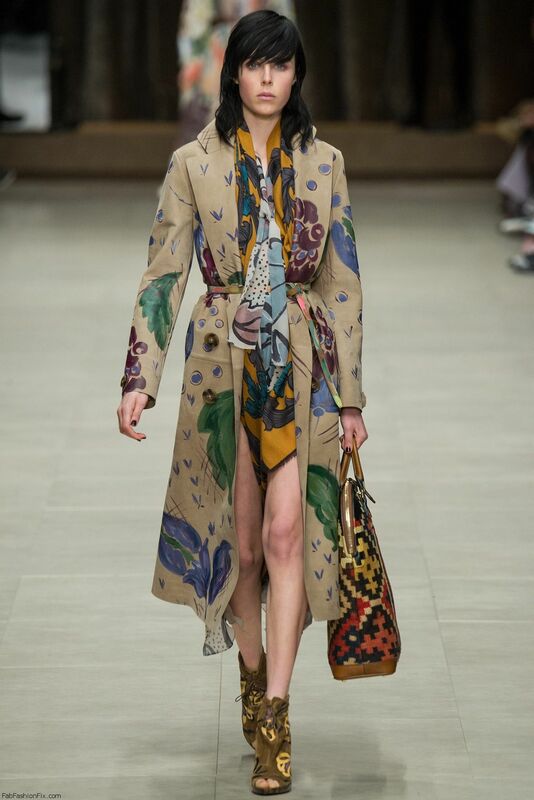 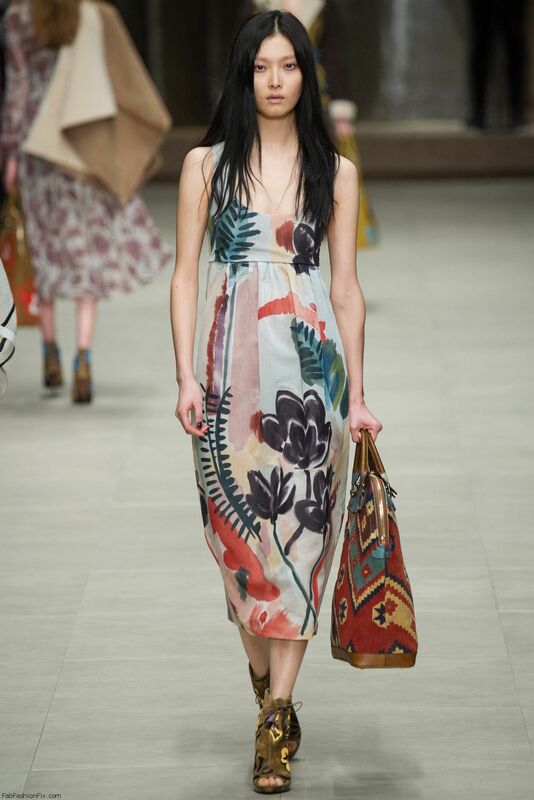 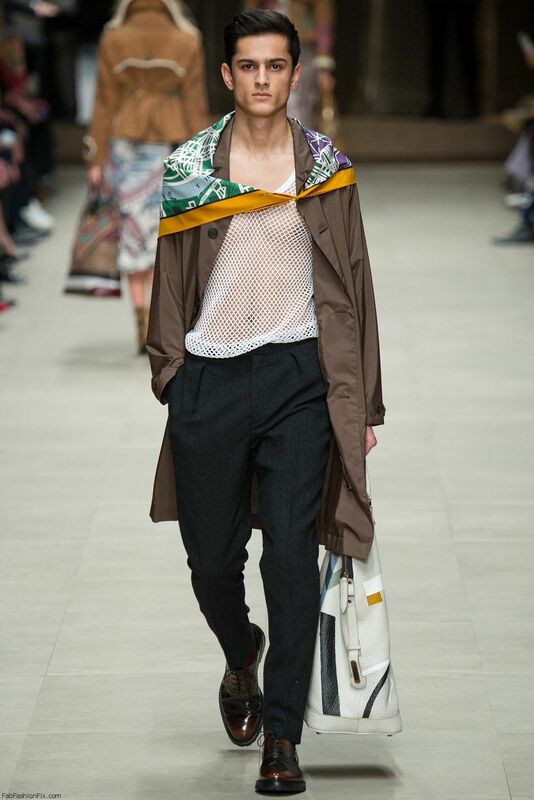 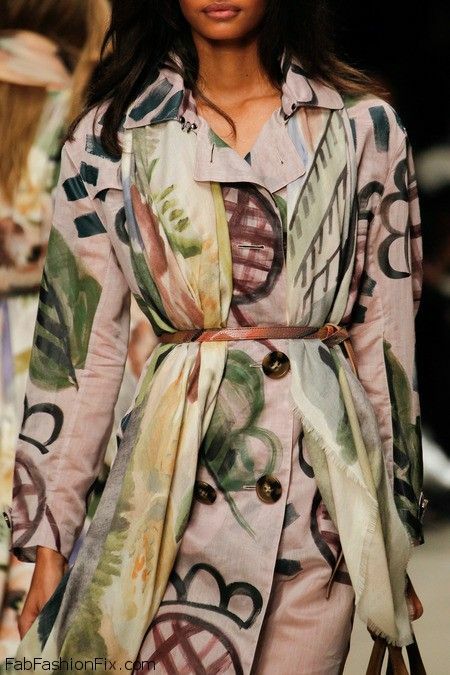 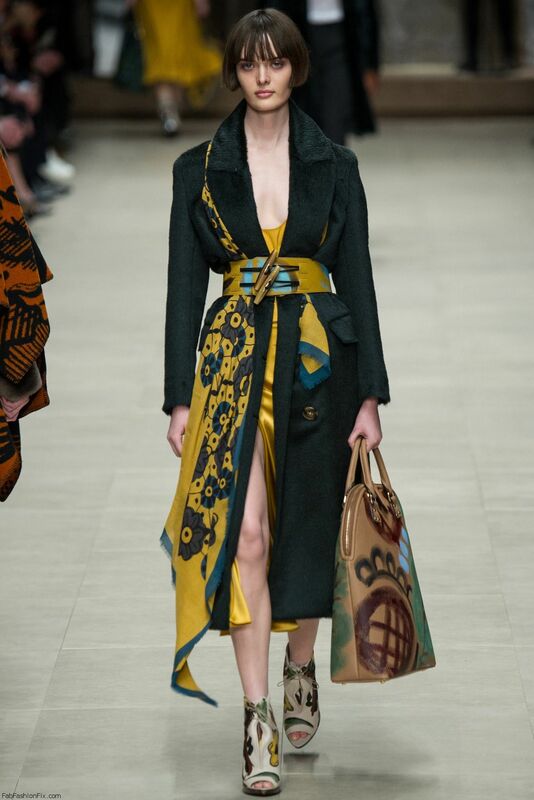 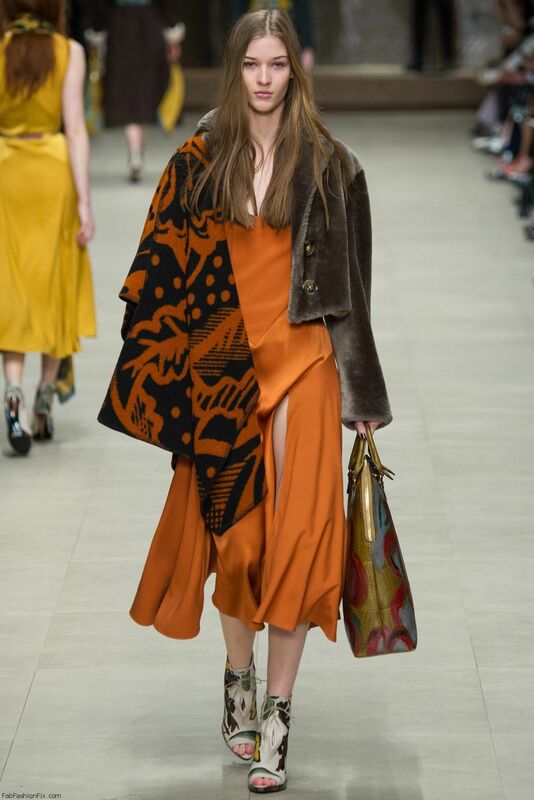 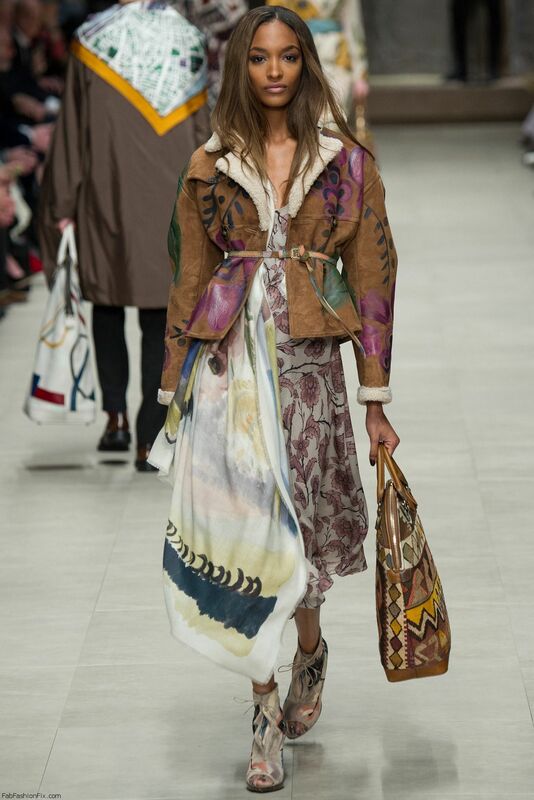 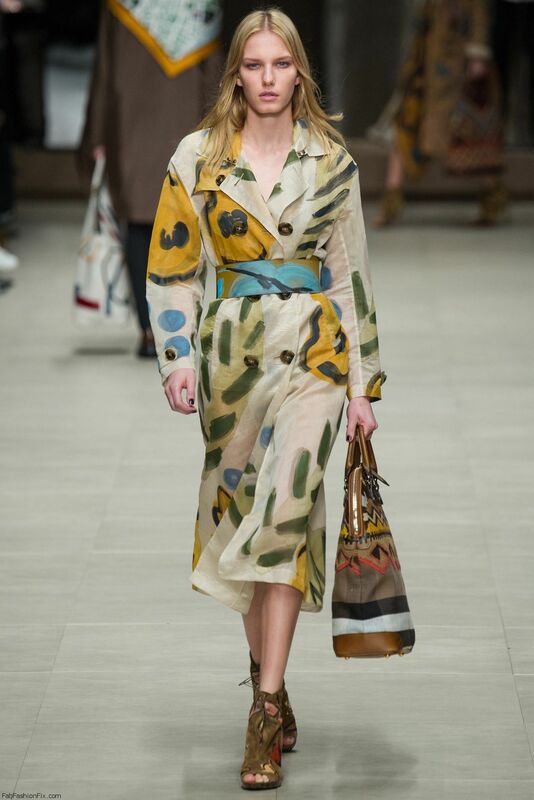 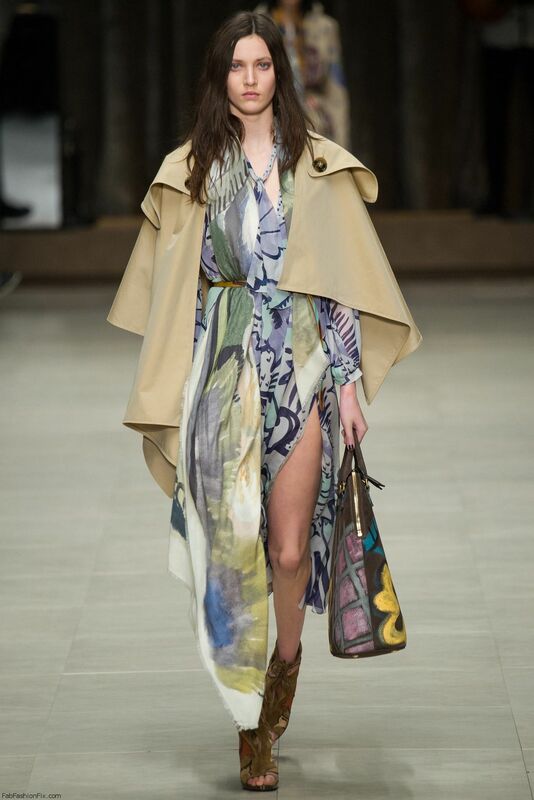 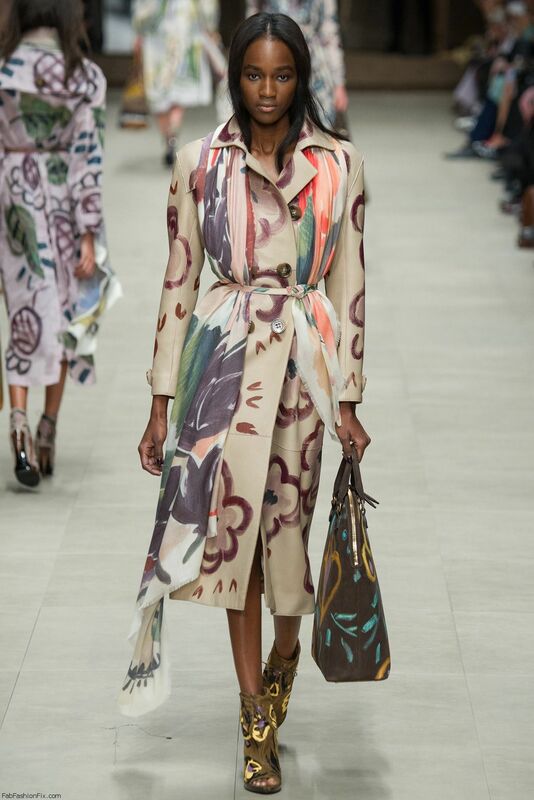 The new artistic side of Bailey`s work was quite obvious all through the collection, starting off with the first look – Gabardine trench poncho layered over a silk floral print dress with The Bloomsbury bag in hand-painted leather.